It seems to be pepper season. 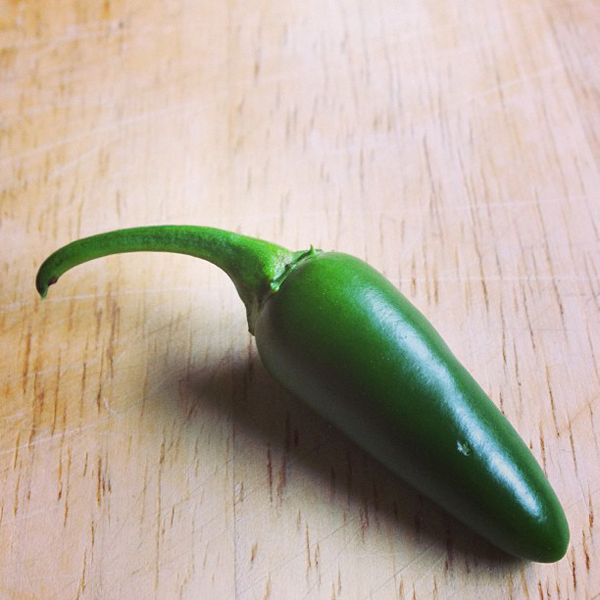 Our jalapeno plants have lots of peppers that are ready. I'm terrified to touch them. I'm convinced I'll rub my eye immediately after and be in agony. We got these big hot peppers in our CSA share so I decided to make poppers on the grill. 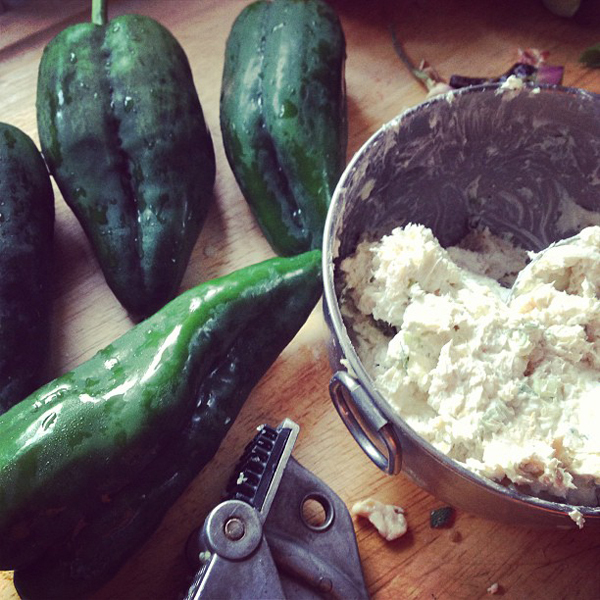 I mixed up cream cheese, monterey jack cheese, herbs, green onions, garlic and chicken and stuffed in the peppers. 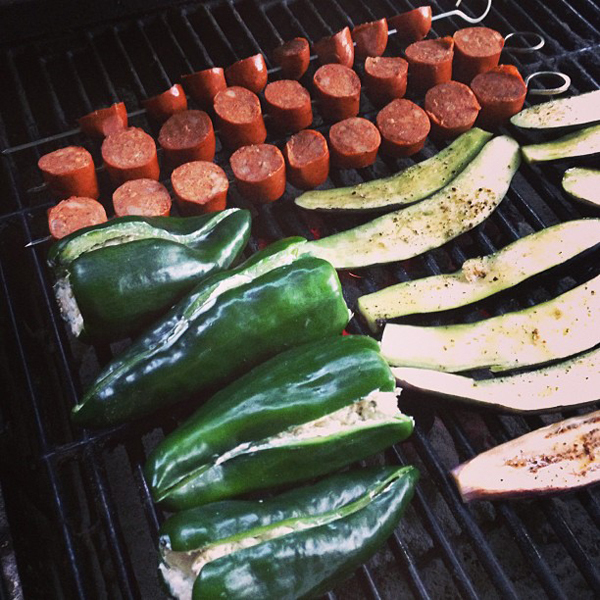 The poppers went on the grill with sausage and zucchini strips. Wow, those poppers were so smokey and good!